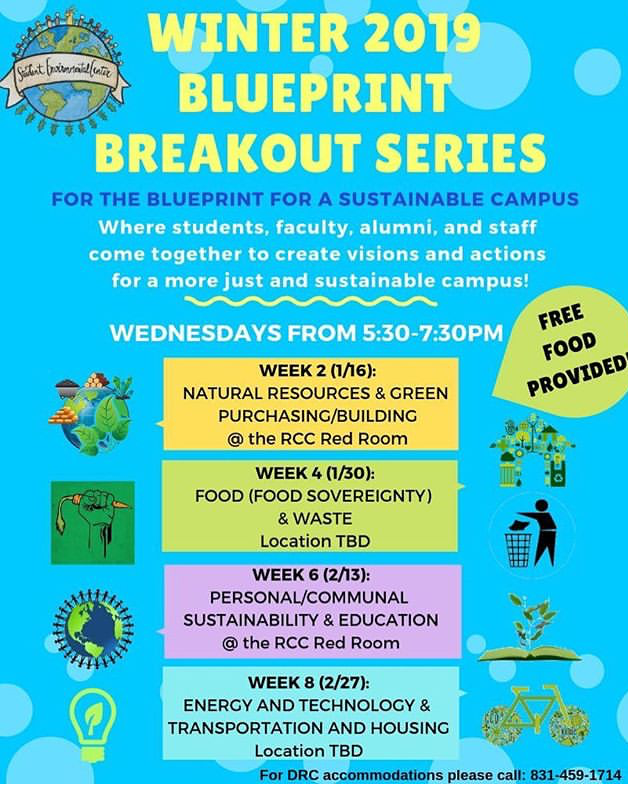 Come to our Blueprint breakout series every other Wednesday 5:30 to 7:30pm. Add your input around topics of social, emotional, personal, community, environmental, and justice oriented sustainability. Your valuable input will guide our campus toward the future us students decide we want! Come and be part of the change! See you there.